“What is a weed,” opined Emerson, “but a plant whose virtues have not yet been discovered?” While that may be a worthy notion in theory, these plants of undiscovered virtue cause endless hours of toil for backyard gardeners. Wherever they take root, weeds compete for resources, and most often win. They also wreak havoc on industry—from agriculture to golf courses to civic landscape projects, vast amounts of money are spent to eradicate these virile and versatile invaders. With so much at stake, reliable information on weeds and their characteristics is crucial. 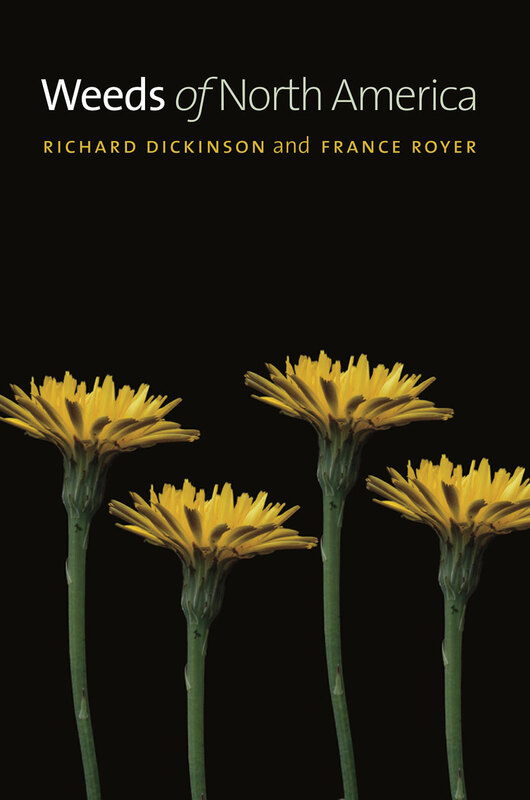 Richard Dickinson and France Royer shed light on this complex world with Weeds of North America, the essential reference for all who wish to understand the science of the all-powerful weed.